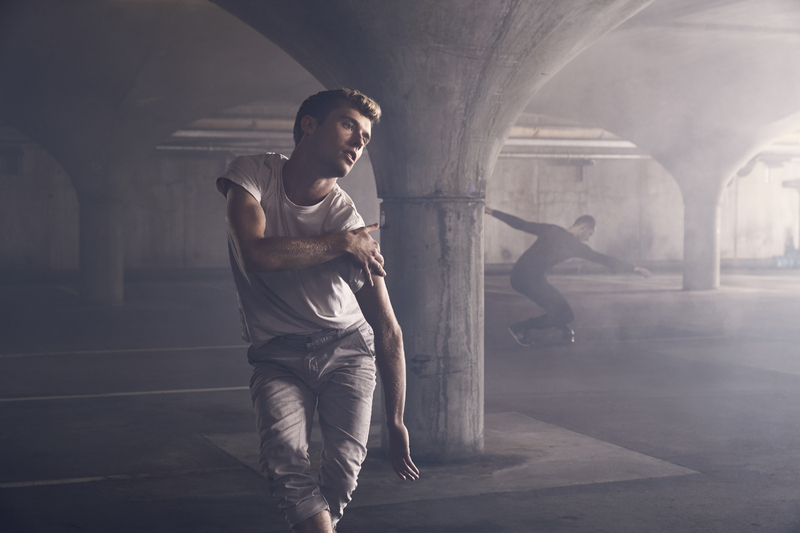 Luke Fryer began dancing relatively late in life, and is now in his final year at the Victorian College of the Arts. He reflects on his journey so far, and where he hopes to go from here. I began dancing at 16 in my hometown, Canberra, with QL2 Centre for Youth Dance. Because I had a background in gymnastics, I was interested in continuing to train my body and mind in a fulfilling and ever-evolving way. Preparing to audition for the VCA was a long process. I had little classical dance training but took weekly classes during my gap year to build the core technical requirements and base knowledge I needed for the VCA audition. When I auditioned for the 2015 intake I was sent a B letter offer – so I was on the waiting list. But having spoken to people in the industry, I knew that the VCA Dance course was producing innovative makers who’d received solid technical training while studying and then used it as a tool to develop their own practice. I was much more drawn to this than to being a technical performer who would fit the mould of a company. Although I’d already been offered a place at WAAPA, I turned it down once I was accepted into the VCA in the second round. At the VCA, I’m in the heart of a bigger city where diversity is innate. When deciding where to study, I felt more comfortable among diversity and numbers. My days are full. In third year, technique classes start at 9am – either ballet and contemporary, or double contemporary – or even something like yoga paired with a technique class. There is about an hour’s break for lunch, and then the rest of the day is spent in performance rehearsals until six or so. I usually also have rehearsals after hours until 8pm, either for VCA works or other projects outside of school. I’m inspired by people and their bodies. Everyone is so different but we all find our own ways of communicating to each other via this form of the body in space. How do our bodies function, and how can that be manipulated or crafted to reveal something special in our world we have never thought of before? Dedication, attention, respect and continual investigation of this body is a constant source of inspiration inside and outside the studio, and in all facets of life. Physical and mental exhaustion are huge challenges. One always affects the other. Continually having to train and relearn how to cope with your body and mind being tired from long hours of work is a never-ending process. Luke Fryer. By John O’Rourke. You might be practising and working every day on something in particular and it will be merely time, and persistence, that will allow you to succeed. The amount of time that is required in this course extends beyond our 55 contact hours a week. Your body is your tool and you always have to work and rework with it and find out what it needs. As a Dance student at the VCA, I get to work on myself as well as be part of an amazing community of inspired and inspiring people. Between the information I get from my own learning and growth, and the information I get from others around me, I could never be bored or stagnant. Any element of spontaneity in the course it is always a highlight. Even the smallest workshop or guest speaker or change in the timetable is very refreshing. A big highlight for me was finishing our mid-year season in second year, where I performed in a second-year work as well as a third-year work. It was the end of a semester of long days but the fact I had been able to work and connect with the third-year students and juggle two works at the time seemed like a big deal. It was made even better by hopping on the plane the day after closing night and travelling to France with people in my course to continue learning, but also have fun in a completely different environment. To relax outside of training, I just get out of the house and away from the campus as much as I can – either with friends or by myself. Catching a train or tram somewhere new, walking with no final destination or attending random events is my way of relaxing. Melbourne is so big that you can literally take mini holidays every weekend if you just make time or go searching for them. After I graduate, I want to stay in Melbourne and make the most of the connections I have made throughout my time here as well as those connections I have yet to make. Becoming more settled and financially independent next year is also priority. I’d like to test the waters to see if part-time gigs are a sustainable mode of living for a while, as well as maybe try out full time work in parts of the industry to see if I enjoy them. From there, I plan to travel to America and Europe to discover where my training lineage and body fit into the dance industry outside of Australia. I want to continue to research and develop my own practices firstly through studio-based work and perhaps even further study in the future. Find out more about the Bachelor of Fine Arts (Dance).